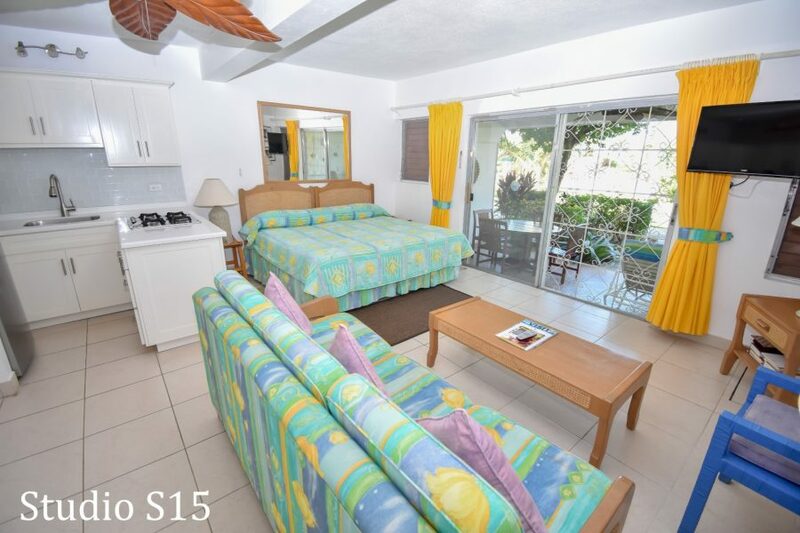 Studio – Garden or Pool View. 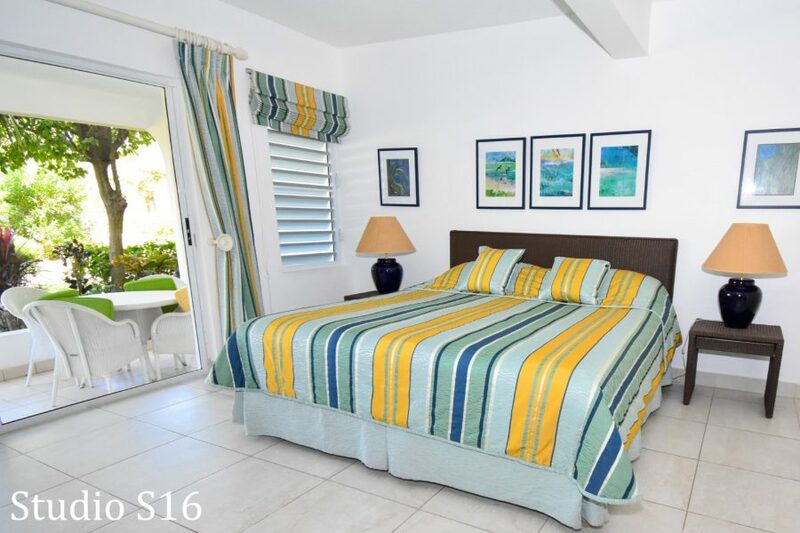 The majority of properties at Antigua Village are studios and there is a delightful selection with views over the lush gardens or the pool. 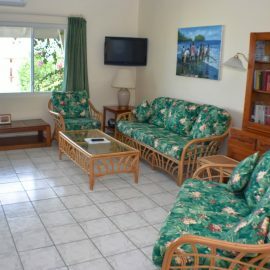 Our studios are located on either the ground, first or second-floor levels and are perfect for one or two people. 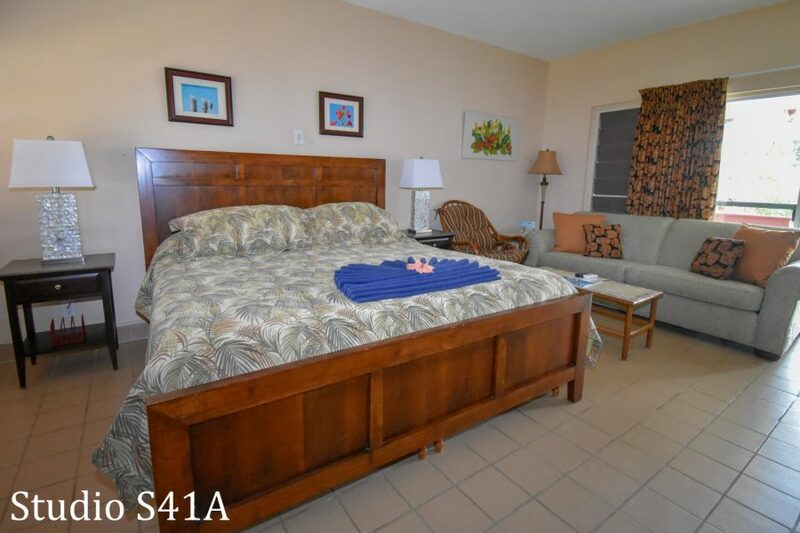 However, some are capable of taking up to two additional children or an additional adult on a convertible sofa bed. 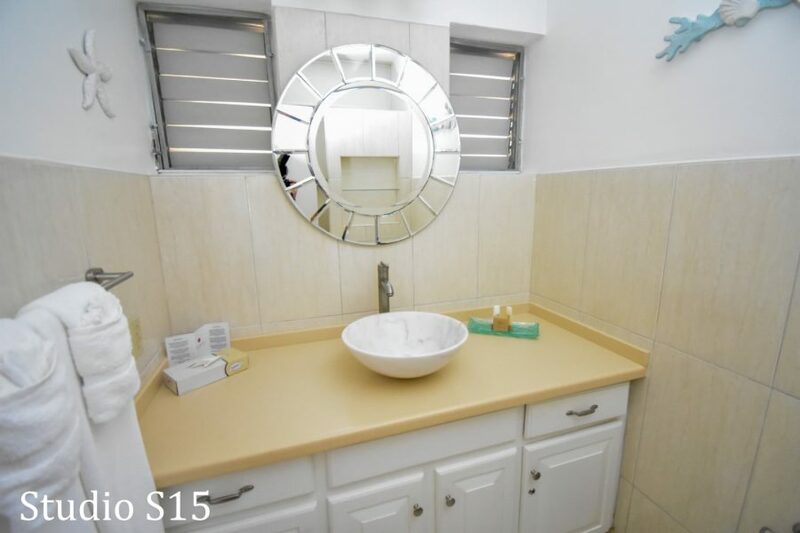 The average floor space of a Studio is 540 sq. 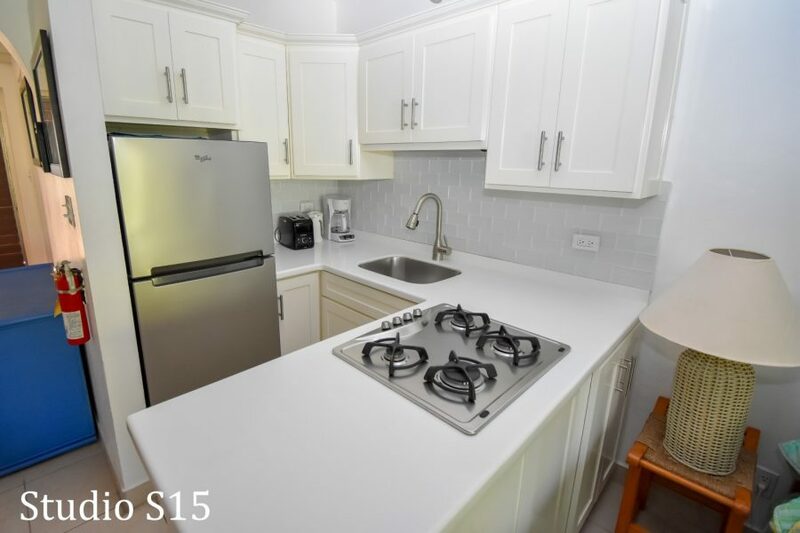 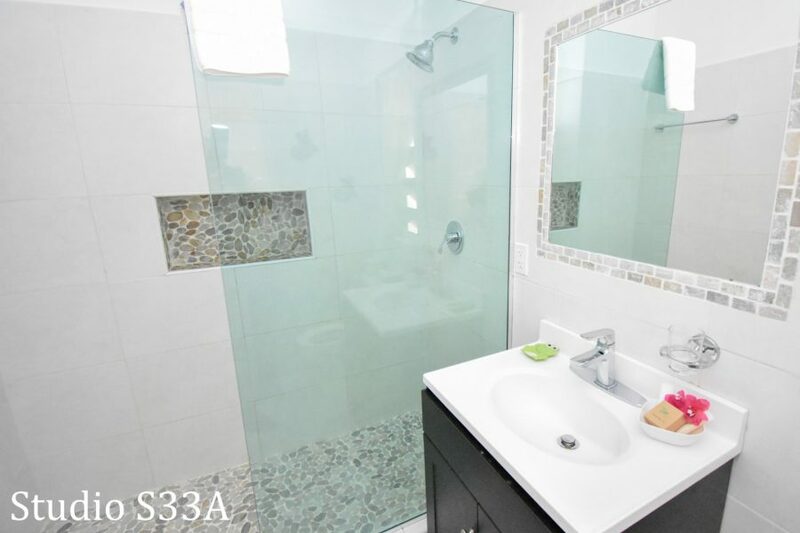 ft. which includes a patio of approximately 160 sq. 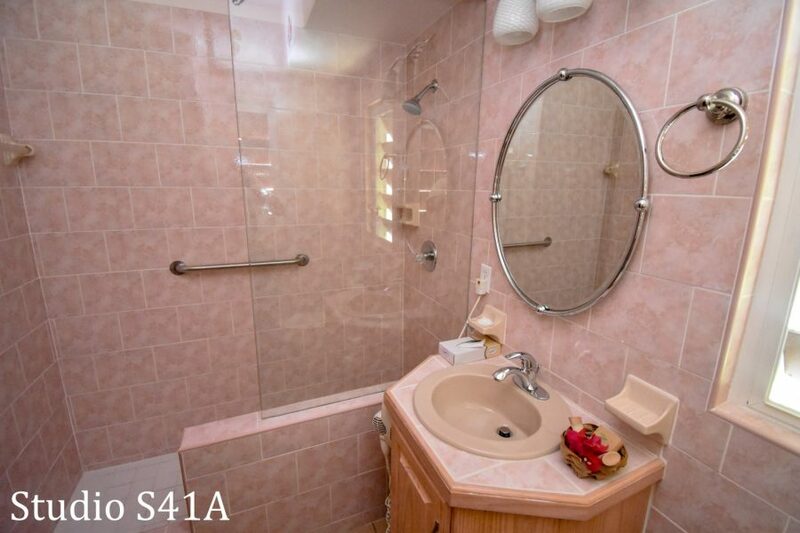 ft. Rates are quoted on a basis of two people. 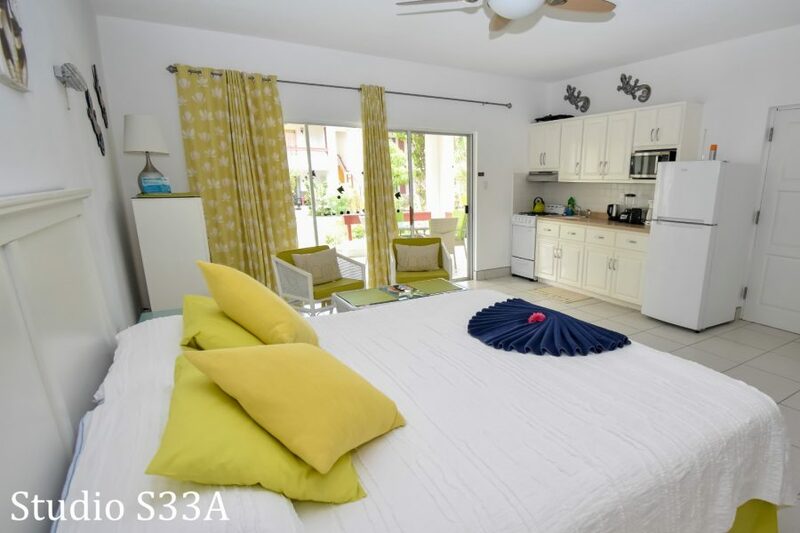 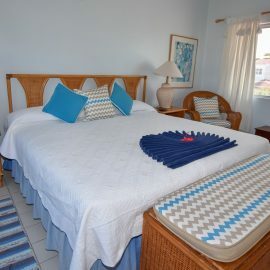 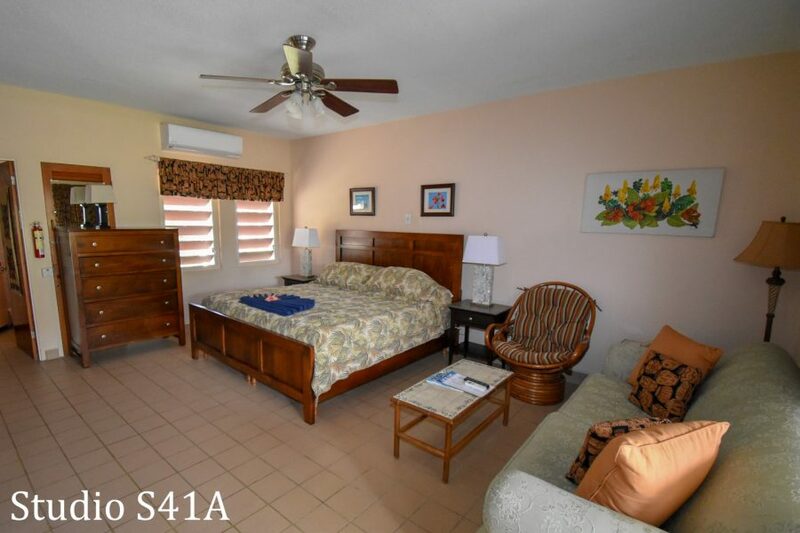 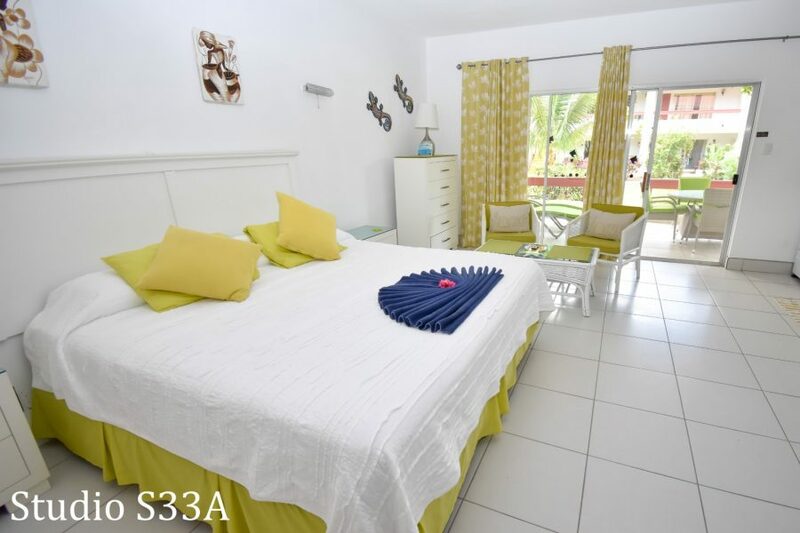 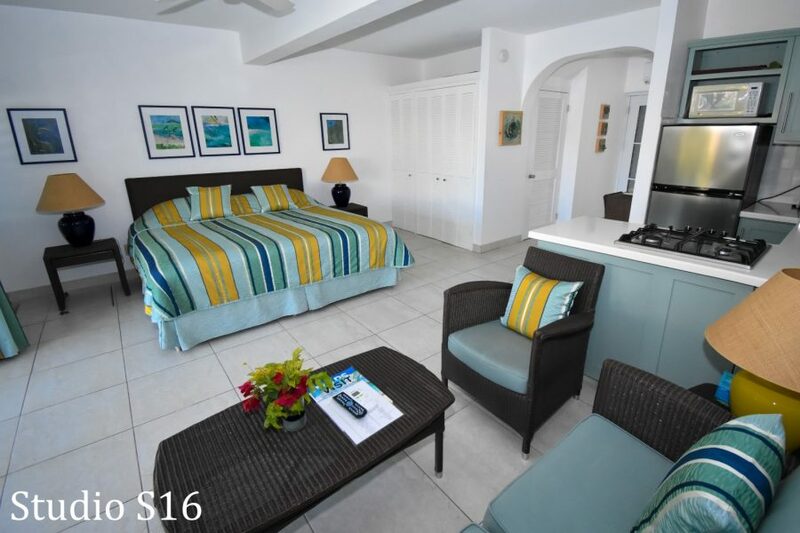 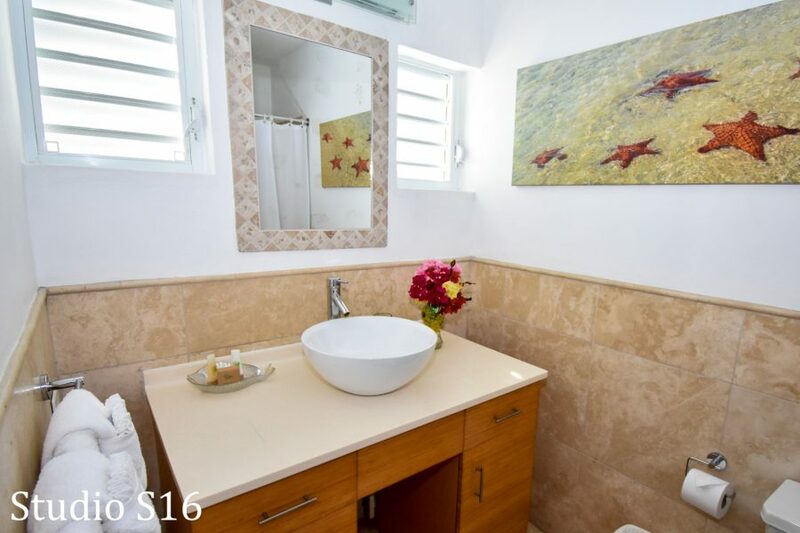 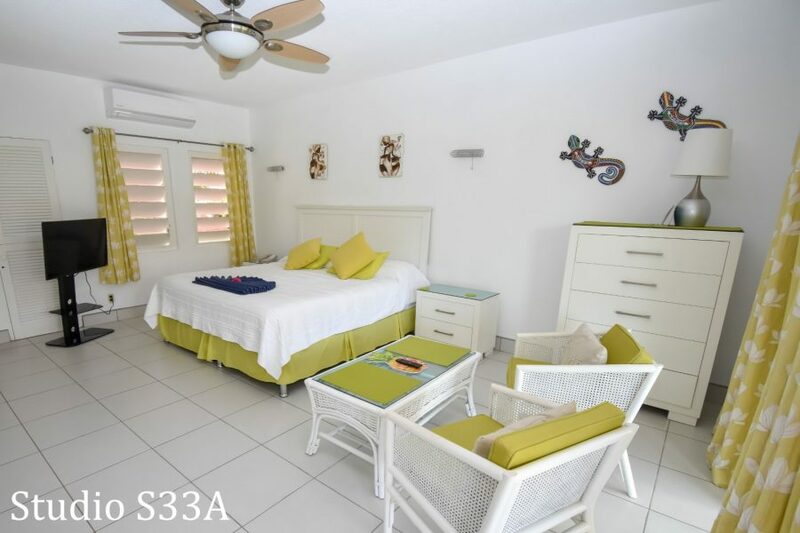 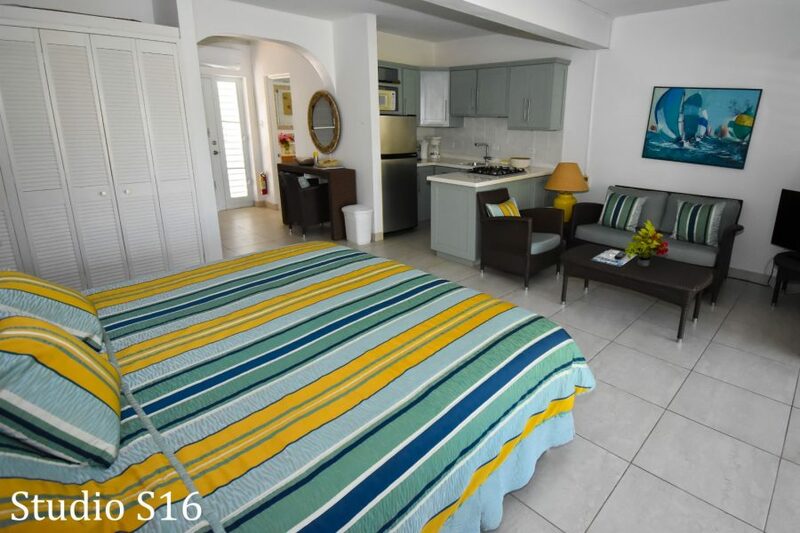 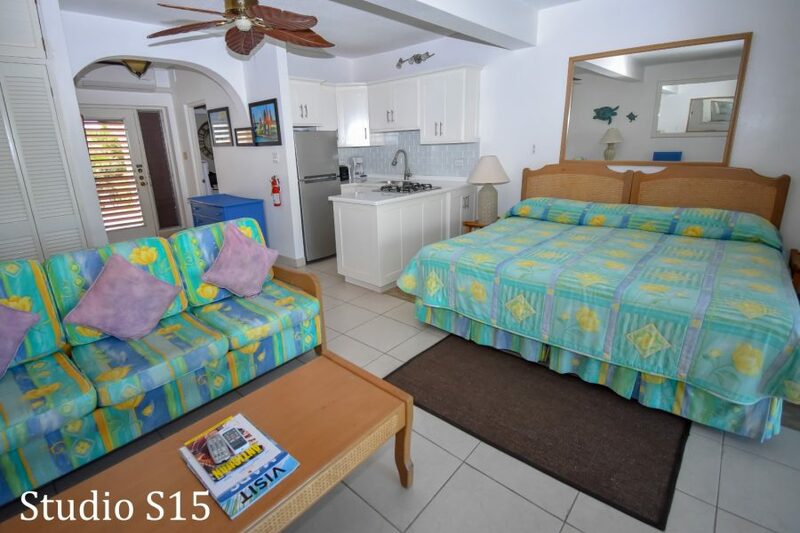 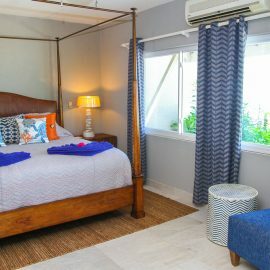 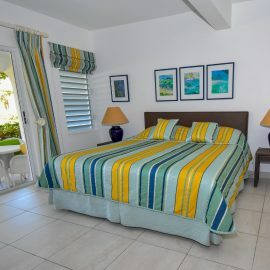 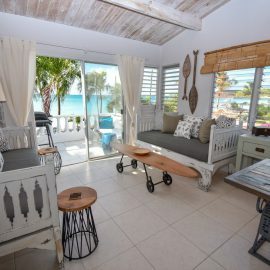 Every studio in Antigua Village is individually owned, decorated and furnished according to the taste of the owner thus nothing is standard. 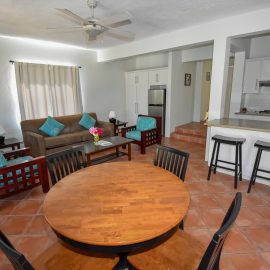 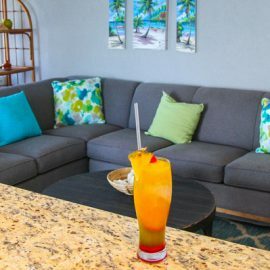 However, all studios have a fully equipped kitchen or kitchenette, private bathroom, air conditioning, ceiling fan, direct dial telephones with voicemail, multi-channel cable television and free Wi-Fi.